CrossWired Science that looked like it would be exactly what we needed. 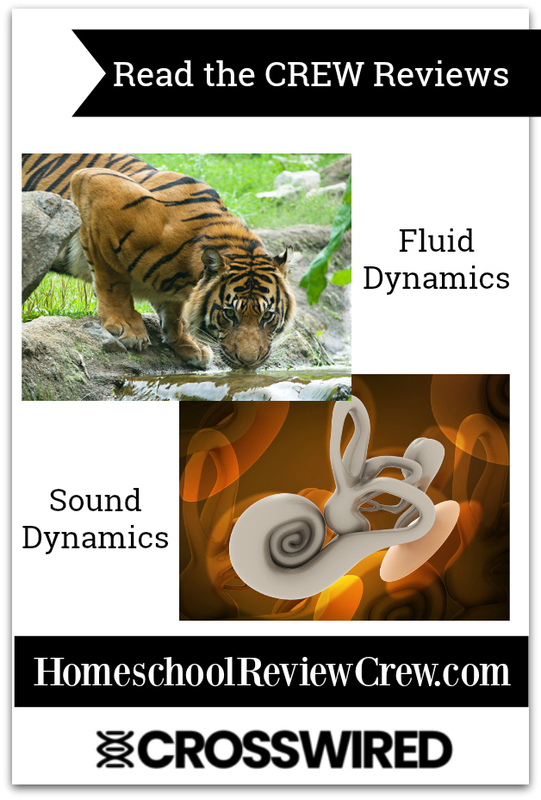 We were given access to both of the courses that are currently available, Sound, and Fluid Dynamics. Currently the projects are being improved and updated with things being changed and added. I think the projects are great now and look forward to seeing what they end up being in the future. These courses are designed to be used with kids in all grades. While younger kids may only watch the videos, older students can complete experiments and research. It is very flexible and allows you to decide how to use the course. The idea is that each of the courses will take about a month to complete. The course is broken up into two sections, First Timers and Second Timers. The videos are the same, but questions and activities are different. Once your child goes through the First Timers set, they can then go back and go through the Second Timers. Or you can start at the Second Timers if you want. For each course there are 8 core videos that the student watches. Once they finish the video they answer some true/false, or multiple choice questions about the video. They can watch the video as many times as they want. I was surprised about the questions. When testing the program out, I got a few questions wrong because I didn’t read the question carefully enough. I think younger kids may feel a little intimidated by the questions, but older students will be fine, once they realize they have to read each question carefully. After watching the video and answering the questions, the student moves on to another activity. They watch the four core videos and then complete four activities. Then they watch four more videos and complete four more activities. One of the activities is the experiment. There are so many experiments to choose from. There are ideas for every learning level. One of my favorite parts is that most of them use products that you can easily find around the house. If you have a kid who loves experiments, they can do as many as they want! From making paper airplanes in Fluid Dynamics to learning about sound waves in Sound, there is a lot to discover. Under General Links your student will find numerous YouTube videos that are about the topic they are learning about. These are locked in the teacher section so your student can only view these with your permission. The videos are interesting and cover a variety of aspects. Under the Research tab your student is given a variety of topics that they can research. You can have your student write a report, write a few facts down, or do anything that you choose. They are given ideas and resources and you decide what they need to do. The U-Choose sections lets your student or you decide how to learn more about the topic. They may watch a video, do a survey, color, go on a scavenger hunt, cook a meal, or many other topics. In the Reinforcement tab your student is given options to help them learn even more. They can color a page, create a crossword puzzle or game, make a puppet show, and so much more. Again you and your child decide what works best. There is also a Field Trip tab that lists ideas for field trips. Beyond the main lessons there are Gold Dig lessons that go deep into another topic. There are also lists of books to read and devotionals. There are so many ways to use this program. We haven’t had access to it for very long, but so far AJ has enjoyed the videos. They are short but entertaining and full of information. Our plan will be to have AJ watch the videos and then spend a week trying out some of the activities. There are a lot of fun experiments to try and videos to watch. She could easily spend a few months on each topic if she wanted. Most programs that claim to cover a wide range of grades often fall short for older students, but this one doesn’t. There are so many options to make learning fun for every level. It can be used as a program on its own, or as a supplement to your current science program. I think this is going to be an amazing resource. It is like someone did all of the hard work and put together a unit study for me. I can pick and choose what I want and leave the rest. The videos are a little easy for older students, but the other activities make sure there are a lot of learning opportunities. The site is simple to use and keeps track of what you have learned. The program cost less than $30 for a single student, and I feel the resources it includes is worth much more. I can’t wait to see what new courses they come out with next. When I was in school I hated learning about history. It was always dull and I just didn’t connect with what was happening. One of the great things about homeschooling is finding books and materials that make learning fun. I have found that textbooks have their place, but that they are not the only way to learn. One way I try to make history more exciting is by including biographies about people who lived during the times we are learning about. In the past we have had great experiences with books from YWAM Publishing . Their books are always fun to read and both AJ and I learn a lot. Heroes of History- Davy Crockett. I thought it would be an adventure filled book that would keep AJ’s attention. In addition to the book we also received a digital download of the study guide. Davy Crockett is written by Janet and Geoff Benge. It is a soft covered book that is 190 pages long. The book is broken up into 17 chapters. It is written at about a fifth grade reading level. The book starts at the beginning of Davy’s life and ends after his death at the Alamo. It is exciting and tells the scary events in a way that younger kids won’t be afraid of. One thing I really like is that it doesn’t fantasize his life like the movies did. He was a great man who made some mistakes and made a huge impact on history. It was nice to learn the real story of his life. The best part about the study guide is that it is flexible. You can use all of the questions and do a bunch of activities, or you can just use the comprehension questions to see if your child understood what they read. The Study Guide is broken into three sections. Davy Crockett – This section gives a brief overview of Davy Crockett’s life. I would recommend not reading this section until after you read the book, unless your child already knows about the life of Davy Crockett. It gives a lot of spoilers. Unit Study – There are directions for using the book with classrooms, small groups, or in your homeschool. Then there are two parts to the unit study. One part has worksheets for your child to fill in. They include fact sheets, maps, and timelines to fill in. The other section is the main unit study. It is 72 pages long! There are questions for each chapter, key quotes that go along with the study, ideas for a display corner (this would be fun if you are studying the book as a group), student explorations where they can take their learning beyond the book, and more. There is also a social studies section to help you fill in the maps and timeline. Meet the Authors – This section didn’t have any information about the authors. Instead it sent us to a section with bonus materials. It had some cross word puzzles and other activities about some of the other Heroes in History like, Daniel Boone: Frontiersman. We have found that once AJ is interested in a book she gets frustrated to stop after every chapter to answer questions. What we like to do is go through and look up the vocabulary words for the chapters I plan to have her read for the week. Then I had her read the chapters for the week and answer some of the questions. She would work on the map work and timeline another day. She enjoyed reading the book and doing the map work that showed the different trips that Davy Crockett took. This book, like all of the others from YWAM, was a great fit. The story was factual and AJ learned a lot. It was exciting and kept her wanting to read. The study guide had a lot of fun ideas to make learning come alive. This time we didn’t do any of the additional activities. But I was glad there were so many available. I plan to include a few more of these books when we study American History next year. It is a great way to learn more than the facts, but really how those in the time period were effected. I highly recommend both the Heroes of History and the Christian Heroes series to improve your history or literature studies. 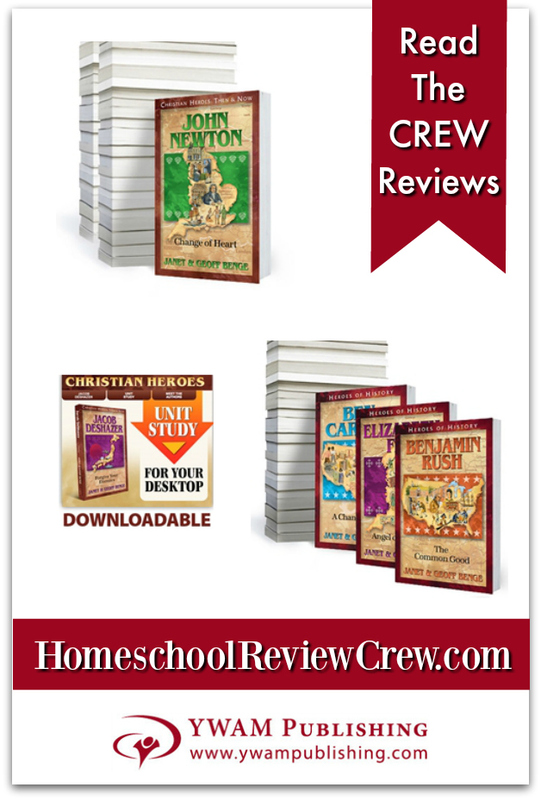 Click on the graphic below to read the reviews from the other members of the Homeschool Review Crew. Over the years AJ and I have both grown to love the products from Institute for Excellence in Writing (IEW). Their writing program really opened my eyes on how to help AJ with her writing. It was the first program that didn’t end up with one of us in tears. Since then, we have tried a few different products from IEW, and we have always been pleased. I have wanted to try out their grammar program, but it just never worked out. Until now! We were given the chance to review a level of our choice from their Fix It! Grammar program. After taking the placement test, AJ was in between the second and third book. She was also able to answer some of the questions from the fourth book. I was a little bit unsure where I should place her. But I decided I would rather start her at a lower level and have her review a few things than start her at a higher level and have her miss out on something. We decided to go with Book 2: Robin Hood and I feel it was the right pick. What is Fix It! Grammar? Fix It! Grammar is a simple to use grammar program that teaches grammar through usage. In less than 15 minutes a day your student will be learning and practicing new skills. Each week your student will learn or review grammar topics. They do this by reading through a short page of information. For some topics there are cards in the back of the book that expand on the grammar topics. Once they have learned a new topic, the student puts the knowledge to work. Each day the student corrects a sentence. Depending on the level they may correct capitalization errors, punctuation errors, label parts of speech, choose the correct homophone, or complete other fixes. They also look up an assigned vocabulary word each day. The student then checks their answers and fixes any mistakes. The final step is writing the corrected sentence. By the time they finish the book, the student will have written out an entire story. The first few weeks are fairly simple. The student is doing a lot of review while learning a few new skills. I was a little worried when I noticed how fast AJ was moving though the first four weeks or so. I thought that maybe I had picked a level that was too low. But the pace began to pick up. By week nine the student learns quite a few concepts, in less than 15 minutes a day. Here is what your student should learn by the ninth week. The concepts are practiced through usage. Every time the student comes to the word there/ their/ they’re in a sentence they have to decide the correct word. The students are given hints on what to look for in each sentence. One thing I really like is that the student checks their work and explanations are given in the teacher guide. The student isn’t penalized for missing something. They simply read or discuss what they missed, fix it and then write the sentence correctly. By the end of the book the student will have a good grasp on basic grammar and will be ready for the third book in the series. If you are on a tight budget you can simply purchase the Teacher Manual. It comes with a downloadable version of the student book that you can print off. You can also purchase a pre-printed student book. The teacher manual has a copy of the Learn It page that is found each week in the student book. Then each daily sentence is given its own page. The sentence is corrected. Below the sentence each correction is explained. Often it will have an explanation on why a correction shouldn’t be made as well. For example they may say that the section doesn’t need to be indented and then give a reason. The vocabulary word of the day is defined and teacher notes are included when needed to explain a concept. Some pages include a grammar lovers note. This section explains more in-depth grammar topics. I learned a lot from reading these notes! The back of the teacher manual has a few different tools to make teaching and learning grammar a little easier. There is a scope and sequence that tells what concepts the student will be learning each week. It also lists all of the vocabulary words. Then there is a grammar glossary. The glossary has more information about different grammar topics. It also has additional rules and even stylistic techniques. This section was very interesting to read, and it helped when AJ questioned something that I wasn’t sure of. The student book is a soft covered spiral bound book. It has the weekly Learn It page and then a page with all of the sentences for the week. At the end of the book there is a certificate of completion for the student. The student book also includes the grammar glossary. I think the best part of having the printed student book is the grammar cards at the back of the book. Once the student reads the Learn It page they can cut out the cards for the week and use them as needed. The cards are printed on heavy card stalk so they are durable. It also nice not to have to print anything off. Everything is ready to open and go. How We Used Fix It! We decided to use the program a little bit differently. AJ began by reading the Learn It page. Then she would look up and write the definitions for all of the vocabulary words for the week. Finally she would correct the first sentence. On the second day she would correct the three more sentences. On the third day she would write the corrected sentences in her notebook. She worked like this most weeks. She is older and will probably finish two books in a year. Once in a while she would come to a sentence that she was stuck on. When that happened I had her slow down and do one sentence a day for the rest of the week. Most days she was finished in about ten minutes. The day that she wrote all of the corrected sentences sometimes took a little bit longer. AJ loves Fix It! Grammar. It is an easy part of our school day. I have noticed that the skills (like commas and indentations) are transferring into her writing. She thinks the program is fun, she said it is like a puzzle to find out what is wrong with the sentences. She is also enjoying the story of Robin Hood. It is exciting. She is learning a lot of new vocabulary, and is understanding it because she can see how it is used. Her favorite thing about the program is that there isn’t any diagramming. Diagramming frustrates her! I like that there is an explanation for almost everything. I also like that it is a quick part of the day that AJ can do independently. One of the best things is that AJ is forced to practice her penmanship, but there is not too much writing. 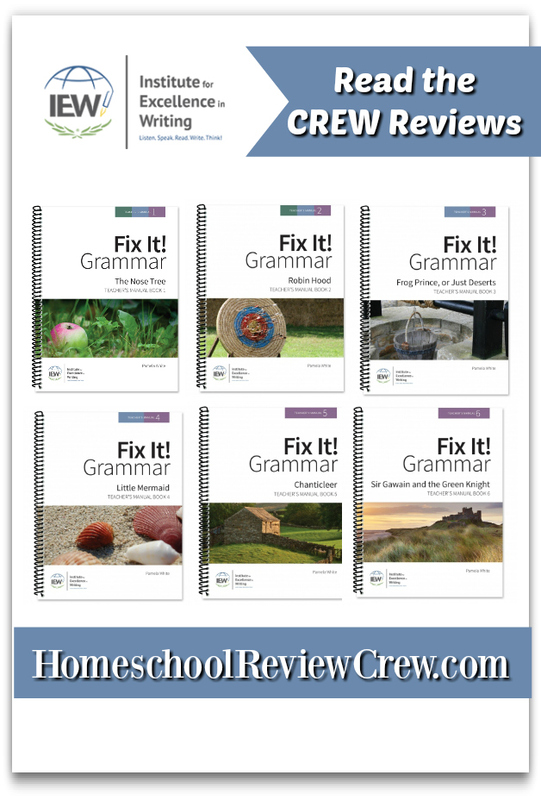 This is a great grammar program that is inexpensive. I would highly recommend it to everyone who is teaching grammar. Make sure to take the placement test, the student learns a lot in each book! 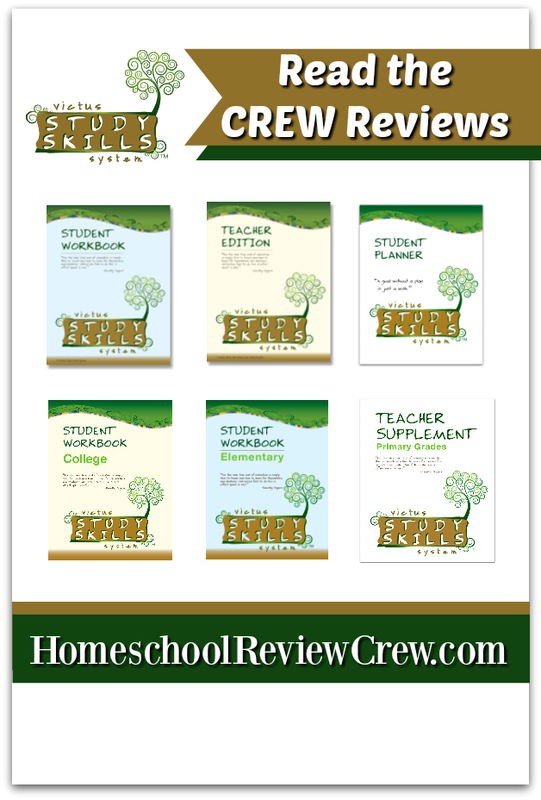 Other members of the Homeschool Review Crew reviewed different levels, click on the banner below to read their reviews! 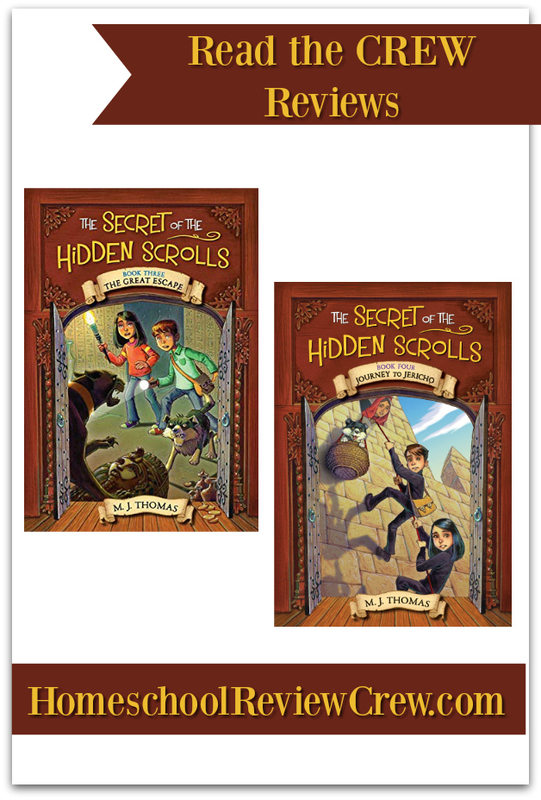 About a year ago AJ and I had the chance to review the first two books in a new Christian book series called, The Secret of the Hidden Scrolls . We really enjoyed the books. They were interesting, full of excitement, and taught great values. When we were offered the chance to review books three and four from WorthyKids, an imprint of Hachette Book Group we jumped at the chance. If they were half as good as the first two, we knew we would love them! The Secret of the Hidden Scrolls follows a brother and sister team as they go back in time. Peter, Mary, and their dog Hank are staying with their Great – Uncle Solomon for a month. While they are there they find all kinds of mysterious things in his home. Uncle Solomon is an archaeologist and tells them about the Secret of the Hidden Scrolls. When they open one they are transported back in time. In the first book they got to see the creation of the world. In book two they road along on Noah’s Ark. Books three and four will take them on other amazing adventures. One great thing about this series is that it doesn’t have to be read in order. If you want to pick up book four you can read a short two page prologue and you will know what happened in the other books. That said, I think it would be a little more exciting to read them in order. The third book in the series is, The Great Escape (Book #3) . It takes place directly after book two ends. Peter and Mary find a sarcophagus in one of the rooms in Uncle Solomon’s house. The kids find a scroll with a triangle on it and soon find themselves in the very hot desert of Ancient Egypt. They visit a pyramid and float down the Nile River. They end up meeting a girl who they find out is Princess Shephara. Her father was the Pharaoh of Egypt. Along the way the kids meet Aron, Moses, and the Angel Michael. Then they watch as the plagues happen in Egypt. Just as the Red Sea began to was out the Egyptian Army, the kids and Hank were back at Uncle Solomon’s house safe and sound. Throughout the book the kids faced many dangers. But they trusted in God and He kept them safe. At the end of the book the kids listened to the story in the Bible and Uncle Solomon explained that most of the people never made it to the Promised land, but that was a story for another day. AJ said her favorite part in this book was that the kids got to dress up like Egyptian royalty and stay in Pharaoh’s palace. The fourth book in the series is, Journey to Jericho (Book #4). This book starts with Peter and Mary sneaking around Uncle Solomon’s house. They find a secret room with all kinds of gadgets and learn that before Uncle Solomon was an archaeologist, he was a spy! He gave the kids their own code names. Peter was The Bear and Mary was The Monkey. They found a secret room and a scroll with two angels’ wings on it. After opening the scroll they soon found themselves on the desert in a beautiful tent. They eventually find out the it is the Tabernacle. On their journey, Peter and Mary meet Joshua.They find out that the Israelites have been wondering in the desert waiting to reach the Promised land. But that they had to get past the walls of Jericho. The kids find themselves in a little bit of trouble after sneaking in to Jericho and being spotted. They, along with a few Israelite spies find a woman named Rahab. She hides the spies and keeps them safe. Eventually the Israelite people cross the Jordan River. Peter and Mary are afraid that they won’t solve the secret of the scroll in time, but they do. Just as the walls of Jericho begin to fall, the kids and Hank are safely back at Uncle Solomon’s home. AJ’s favorite part of this book was when the Angel saved the kids from the man in black. These books say they are geared for kids grades 1 through 3. I personally think they would be too difficult for first and second graders. I feel they are more on a fourth grade level, but that is my opinion. Even though they are written for younger kids, older kids will enjoy the action and adventure. AJ is way beyond the reading level. But she really enjoyed them. I found them to be a quick enjoyable read as well. The plan was for me to read them and then have AJ read them. But they came in the mail on a day I was sick. She took the first book and read it in about two hours. Then asked to read the next one. She ended up finishing both books in a day. I read them a few days later, then we talked about them. At the end of the books it tells you where you can find the stories in the Bible. We read through the stories in the Bible and discussed the differences. While these books are based on the Bible, there are some small differences. We were pleased with both book three and book four. Each of them stuck to the basic story that can be found in the Bible. While AJ and I were both able to guess what the secret scroll would say after only a few chapters, I think younger students will have fun trying to figure out the mystery. These are solid books that are free from bad language and other morally questionable content. If you are looking for an adventure story that will appeal to both boys and girls and has a strong biblical basis, this is the series for you! Book 5 is now available. We can’t wait to read it! Find out what other members of the Home School Review Crew thought by clicking on the graphic below! When AJ was in public school she had access to a fun learning site called IXL Learning. She would go on each day for a few minutes and have fun learning new concepts. It was something she enjoyed doing. But when she left public school, her account expired. In the beginning she would still go on and try their free version, but it only lets you answer around ten questions a day. Eventually she was no longer interested in doing the ten questions a day, so we forgot all about IXL. That is until we were offered a chance to review an annual subscription! I didn’t know that IXL had learning opportunities all the way through high school, but once I did I was thrilled for AJ to have a chance to try it out. IXL is an online learning site. 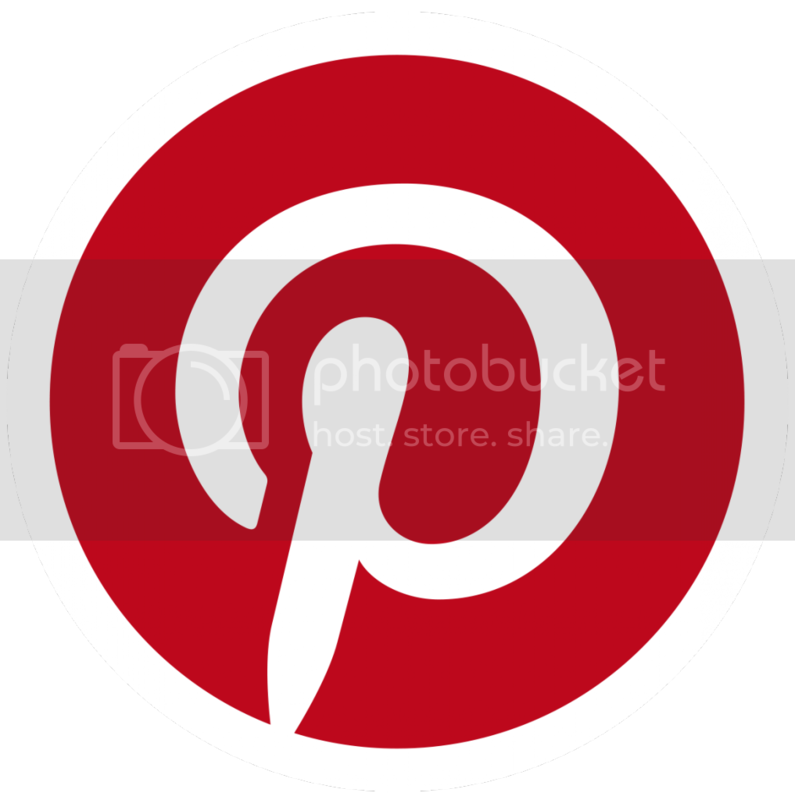 It can be accessed through some apps or it can be used in a regular browser. There is a Kindle app, but at the time of this review it was unavailable for me. (I found out that while the IXL app didn’t work on my Kindle it will work on most. Mine is very old, we have had it since 2012. After the review I tried it on AJ’s 5th generation Kindle and it worked. I was also told by other reviewers who have 7th generation Kindles, that the App worked fine for them.) AJ ended up accessing IXL through the Silk browser on her Kindle Fire and had no issues. IXL offers both math and language arts for grades K through 12. It also offers science and social studies for grades 2 through 8, and Spanish for all grades. When your child logs on each day they can pick the topic they want to practice. Then they are given questions in that topic. Some of the questions are multiple choice, while others require them to input the answer. Once they submit each answer it is graded instantly. If they enter a wrong answer an explanation is given to help the student know what they did wrong. For math they may be reminded of a formula or be shown how to solve the problem. In language arts they may be given a tip or a definition of a word to help them out. Then they just continue to answer questions. As the student gets more and more questions correct their score goes up and they are able to earn ribbons. When they have truly mastered a topic they can earn a special ribbon for 100%. Earning that ribbon takes answering quite a few questions. When they earn that ribbon, you can be confident that they really understand the concept. One of the best parts about the program is that it is very flexible. With your parent account you can decide if your student sees the grade level they are working on (6th, 9th, K), or if they just see a level (A, H, C). This would be helpful for those who need to work at a lower level than their grade level. It is also nice in the older grades when not everyone is working on the math that is typical for their grade level. AJ is in Algebra 2, but the 10th grade math is Geometry. There are also options that let your child see how long they have been working on a problem. It is great to have the option to hide or enable the timer depending on your child’s needs. When AJ was younger a timer would have stressed her out. Now it motivates her to see how many questions she can answer in a time frame. There is a placement test available if you want to see where your child should be placed. It is optional. I personally find that with older students placement tests can take forever because they have to answer so many questions correctly for each level. We decided to skip the test and just have AJ work on the 10th grade level. There was a topic in language arts that she was struggling with. She was shown a topic in a lower level that would help her in the current topic. She went to that topic, worked on it a little, and then came back to the initial topic and was able to earn a ribbon. Since AJ already has a set math program we decided to use IXL as a supplement to practice skills we already covered this year. She started out in Matrix Vocabulary. There she had to answer questions about types of matrices, dimensions, and more. She earned a 100% ribbon after a day. She didn’t want to stop until she earned the ribbon. Then she went on to work in the matrix category for a while before heading to the section on Radical Functions. Some she was able to earn ribbons in quickly, while others took her a little time. Right now we are working on complex numbers in math, so today she started on the introduction to complex numbers topic. I don’t think you could use this as a full math program unless you have a very dedicated self learner, but it is great for practice and review. The questions don’t seem to repeat and there are endless practice opportunities. Spanish was one of AJ’s favorite topics. She logged on and worked on a topic each day until she earned a 100% ribbon. Then she would go on to the next topic the following day. I liked that it was more than just vocabulary. The spelling had to be correct and there are sections where the vocabulary is used together. She ended up keeping a notebook with the vocabulary to help her remember it. The Spanish section would be perfect for those who are just learning or those who need a refresher! AJ was a little less enthusiastic to work on Language Arts. I had her pick a topic, or I picked one for her and had her practice about 10 minutes a day. She spent a lot of time in grammar topics and word usage. She didn’t earn many of ribbons, but she did learn a lot. In this category she liked to skip around and not stick to a specific order. We didn’t try out the social studies section because it was for 8th grade and lower, but we did try out science. AJ loves science and I figured it couldn’t hurt to try it out. She spent time labeling cells and learning about their functions and labeling different diagrams. I found her copping the diagrams into her notebook so she would have the information later. She enjoyed the science section and I think it would be great to use after learning about a topic. I was very pleased with our experience with IXL. Setting up an account was simple, I could easily check on her progress, and I was sent emails weekly about her activity and any awards she earned. The ribbons kept her motivated to work on the topics, while the instant feedback helped if she felt discouraged. I liked the fact that she could move to different topics when she wanted and that she could visit both lower and higher levels when she wanted. I felt the feedback she received when she entered an incorrect answer was solid. It helped to explain and teach the concepts. I feel she has learned a lot using IXL and I plan to have her continue with it. 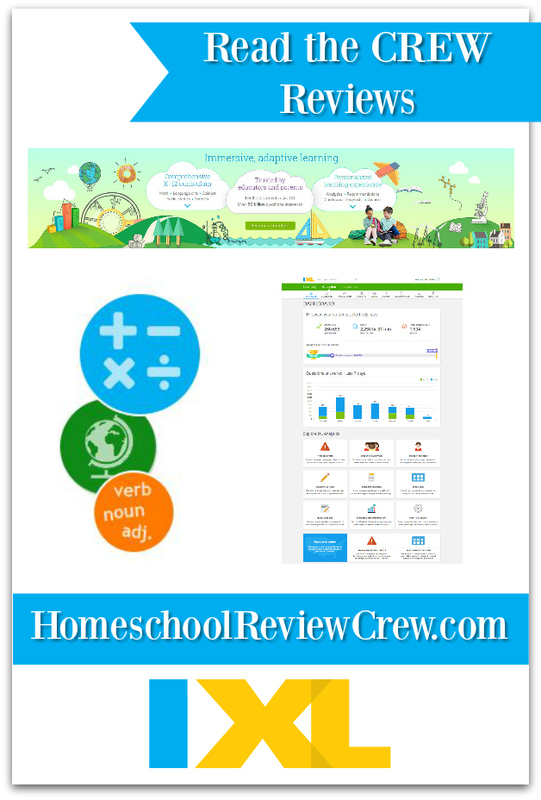 Click on the graphic below to find out what other members of the Homeschool Review Crew thought about IXL. There were reviewers using several different levels. We have had the chance to listen to quite a few audio dramas over the past few years. Our favorite ones by far are the ones from Heirloom Audio. We were given the chance to try out their newest audio adventure, For the Temple, and we were excited to try it out. The CD is about 2 and a half hours long. It is recommended for kids ages six and up because it may be a bit scary for younger kids. As you listen to the story you can hear the background noises in the town, hear the Sea of Galilee, and hear weapons crash against each other. This is a story that will have you on the edge of your seat as John has to make a decision on the best way to save the Temple. The study guide has questions for each track of the CD, three Bible studies, and background information. Each track has three different types of questions. Listening Well – These questions are basic and can usually be answered simply by listening to the audio drama. These questions have to do with the basic plot and what is going on in the story. For example one question is, “On what day, month, and year did the Roman’s begin their attack?” From listening to the audio drama it would be easy to answer the question. Defining Words – This is a list of words that are used in the story that you may not know. Some of the words seem obvious while others are words that are not often heard. Some of the words from one of the tracks include; inevitable, access, conduit, granary, and, obliterate. The Bible Studies are simple. One is about how God is our only savior. Another is about proper worship, and the final one is about Christ being our temple. Each of them have questions to think about and then a list of Bible verses to look up. They are all simple to complete, but will make you think. The background information has a lot of information about the Temple and various events in the Bible. AJ and I both found it interesting and learned a few things from reading it. There are also diagrams, food ideas, and more to explore in the study guide! Our original plan was to listen to the audio drama and complete the study guide at the same time. We ended up getting the study guide a little later than we expected, so that didn’t quite work out. Instead we listened to the audio drama and then later looked at the study guide. We read through the background information and completed one of the Bible studies. We are going to be studying the Roman’s in history next month, so I think we will listen to the CD again and at that time AJ will answer some of the questions from the study guide. Like the many other audio dramas from Heirloom Audio, this one did not disappoint! The story was exciting, taught a good lesson, and really brought history to life. You get to see more than just facts, you get to see how real people were pushed to their limits and had to make decisions on right and wrong, and how to trust God. This story seemed based on the Bible more than any of the other dramas we have listened to, and I didn’t hear anything that I disagreed with. I would highly recommend it! 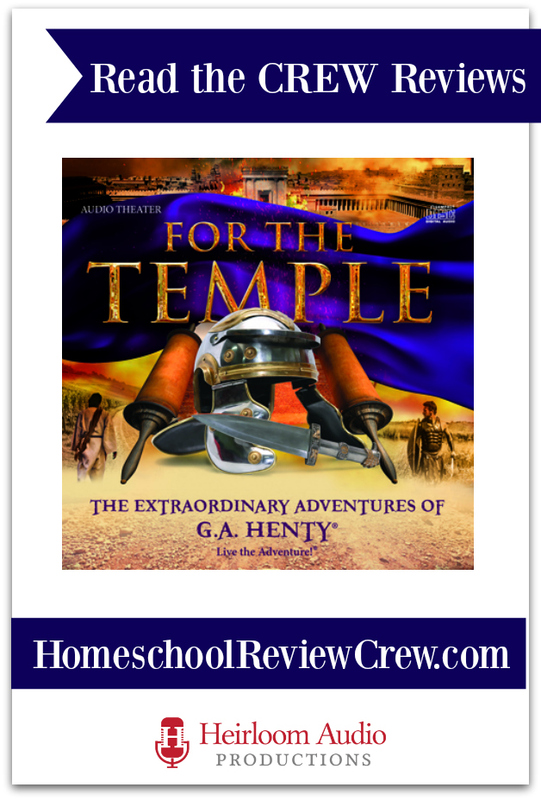 Click on the graphic below to see what other members of the Homeschool Review Crew thought about For the Temple! The new year will be here before we know it. One thing that I try to do each year is find a new devotional for AJ to work through. She doesn’t always finish on time, because sometimes other products come up. But I like to have something new for her to work through under the tree. It can be hard to find products that are good for her age. She is past the little girl devotions, but usually doesn’t find the adult ones interesting. I look for something that is short and to the point and geared for teens. This year we were given the chance to review a new devotional from Zondervan. We have tried various products from them in the past, and have never been disappointed. 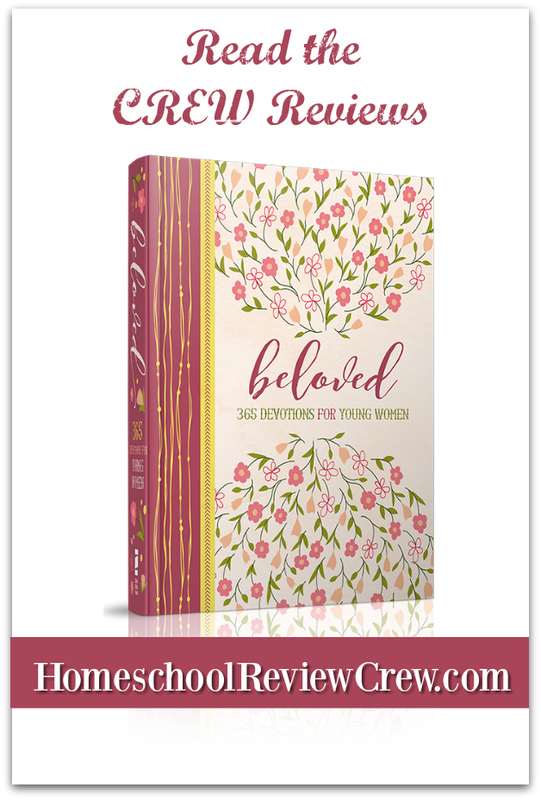 We were blessed with a copy of Beloved: 365 Devotions for Young Women. I was sure that AJ would love this new devotional, and she did! 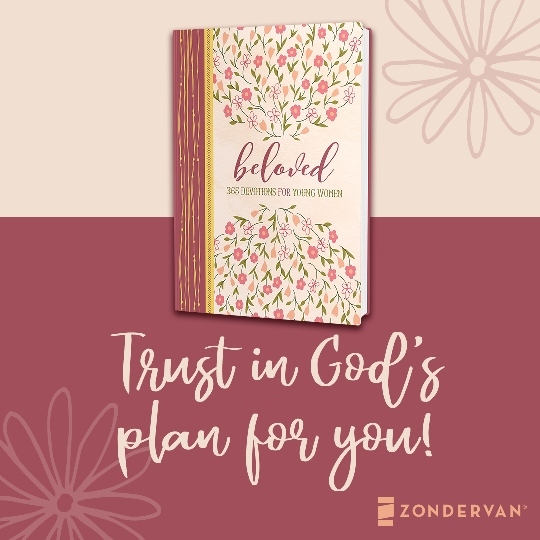 Beloved: 365 Devotions for Young Women is written by Lindsay A. Franklin. This devotional is beautiful hard covered book that is well made. The floral design that is on the front cover is carried over to each page of the book. The maroon, purple, and pink color scheme give it a girly theme. It is about 370 pages long with a devotion for each day of the year. The devotions are numbered, not dated so it is simple to start whenever you want. And if you skip a day, you won’t feel like you need to catch up. There is an attached ribbon that is used as a book mark to help you keep your place. This devotion focuses on the different women in the Bible. It includes women like; Mary, Ruth, Deborah, Anna, and Ester – along with many others. It focuses on Proverbs 31 along with many other verses in the Bible that are often overlooked in other devotions. You will cover various verses from Genesis to Ester in the first 312 days. The remaining the days you will spend time studying verses from the New Testament. Each day you begin by reading a verse or verses from the Bible that is written at the top of the page. The verses are in NIV format, so if you prefer another version you will need to find the verse in your own Bible. Then You read a few paragraphs about verse. At the end there is a question on most days. It might be about the verse, about yourself, or even about how you can apply something to your life. Sometimes it is just a place to reflect on the verse. On the bottom of the page there is a few lines for you to write your answer. Reading and answering the question will take less than 15 minutes a day, prayer time not included. The devotions are short and to the point, but they are well written and make you think. Since it is Christmas time, AJ and I have been reading some of the devotions towards the back of the book. We started on day 313 with Luke 1:5-7. In this verse we were introduced to Elizabeth and Zachariah’s story and how they had not been blessed with a child. The devotion was about trusting God and his timing. It happened to be a verse that I needed to be reminded of. We continued reading through some of the devotions that focused on the book of Luke. We normally read through the book of Luke around Christmas, but this has been a different experience. It has been neat to read the same verses but to have more to take away from the story – as if the story wasn’t amazing enough. We see a big emphasis on trusting God, being different, and family. It has also been nice to look at the Bible from a woman’s perspective. I also read through a few other various devotions to see what they were like. One talked about how God used women in biblical times, and how he uses them now as well. Another talked about how God’s power was bigger than giants. But this wasn’t referring to David and Goliath. It was referring to a verse in Judges where Jael won Israel’s war. I have read through the Bible numerous times, but I didn’t remember that story. You are introduced to over 60 women throughout this study. I figured AJ would enjoy it. She has another devotion by the same author called, Adored 365 Devotions For Young Women. She enjoys it as well. The author has a way of writing that is perfect for young women. It is funny at times, interesting, and she makes you think of things differently. 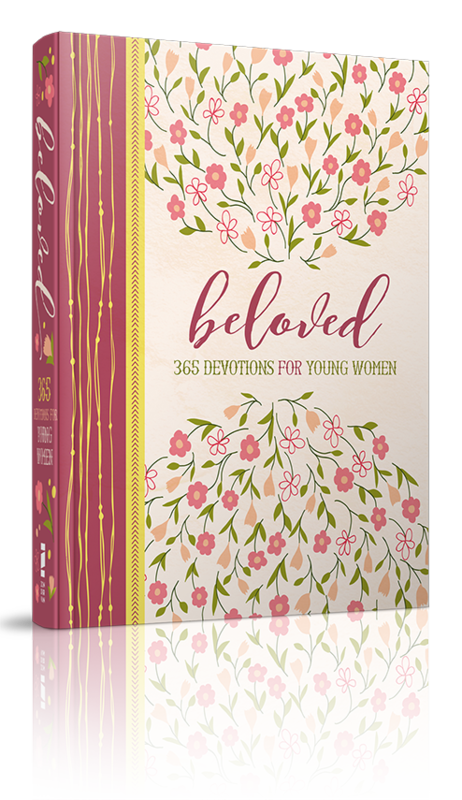 If you are looking for a great devotional for a young woman in your life, I highly recommend, Beloved: 365 Devotions for Young Women. It would make a great gift. AJ received a guitar this year for her birthday. She took piano lessons for a little while, but has been asking to learn how to play the guitar for years. She finally had her own guitar and was excited to start learning. The only problem was that guitar lessons near our home were quite expensive. For eight 45 minute sessions with kids ranging from six years old and up it was going to cost over $150. That is only about six hours of instruction where the instructor’s attention would be divided among up to eight kids. On top of the price was the difficulty of getting her to the lessons. We ended up holding off on the lessons. Her grandma taught her a few chords and she looked some things up online to teach herself. While she did learn a few things, she was not progressing very quickly. She was also picking up bad habits that she saw others using. Then we were blessed with the chance to review an online program that would teach her how to play. We received the Semester 1 Bundle (including 5 weeks of Absolute Beginner bonus content + the 13 weeks of Semester 1) from Guitar 360 Method. It came just in time for AJ to sign up for the talent show at our co-op. Guitar 360 is a set of online guitar lessons that are taught by Krisz Simonfalzi. The intention of the lessons isn’t just to help you learn to play a few songs on the guitar. Instead the idea is to give you a solid foundation in the guitar. After the 13 weeks of lessons, you should have the knowledge and confidence to play well and to create your own songs. The course is broken into 13 weeks of lessons. Each week there is a goal for the lessons. 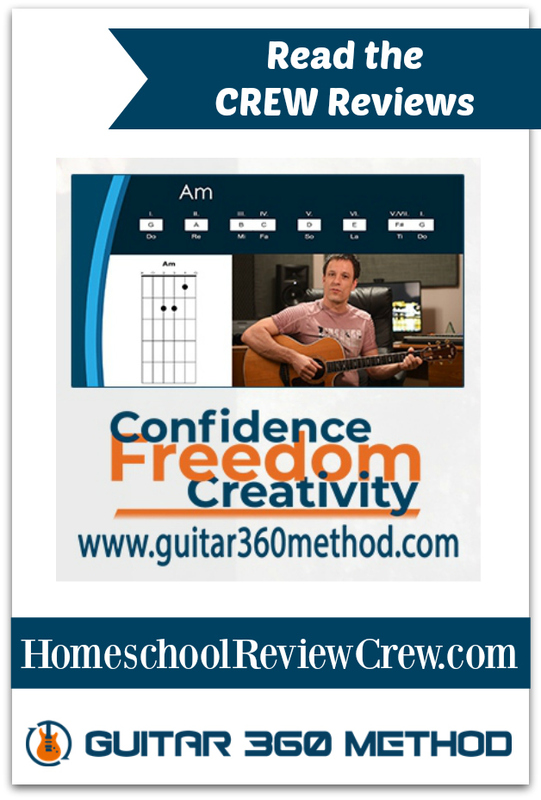 The first week the goal is Foundations for Versatile Rhythm Guitar, where the goal for week six is Understanding Chords. Each week has a group of videos that teach about the goal. They vary in length from a short 2 minute video that teaches some vocabulary, to longer videos that teach techniques. In addition to the video lessons there are also printable PDFs with information. You are able to view the videos as many times as you want. Once you feel you understand the topic you are able to park the lesson complete. Most lessons have practice videos that you should work on on throughout the week to make sure you are comfortable. Some weeks also have quizzes to check what you have learned. The best part is that you are able to view the videos as often as you need to, and you can go back to previous lessons. The course is self paced and simple to use. AJ had already been practicing a song with some free music she found online to get ready for the talent show. But she wasn’t playing it correctly. I decided to have her continue to practice the song while slowly working through this program. She would log in on her Kindle Fire and watch the lessons and practice along with the practice videos to improve her technique. She is still learning so she spent some time on the free beginner lessons that Guitar 360 offers. They are still the same high quality videos, with the same entertaining teacher. They just focus on things that absolute beginners need to know. I can’t believe they offer the beginner lessons for free. I think the beginner lessons helped her to become more confident to work on the first semester of lessons. She still has a while left to complete the course. Right now she practices a few days a week. But eventually that will increase. As for the talent show, she played a song and did a good job. It wasn’t perfect but it was easy to see her technique has improved along with her confidence. AJ loved the lessons. The teacher was full of energy and obviously passionate about playing the guitar. The videos were professional quality. The variety in the videos kept her interested. Her favorite part was being able to watch the videos as much as she wanted to work on her technique. The best part for me is that she can practice where ever she has internet access. I don’t have to find a way to get her to the lessons. The value of the program is amazing. For less than it would cost for six hours of instruction at the local community center, you can have access to more than 13 weeks of lessons. 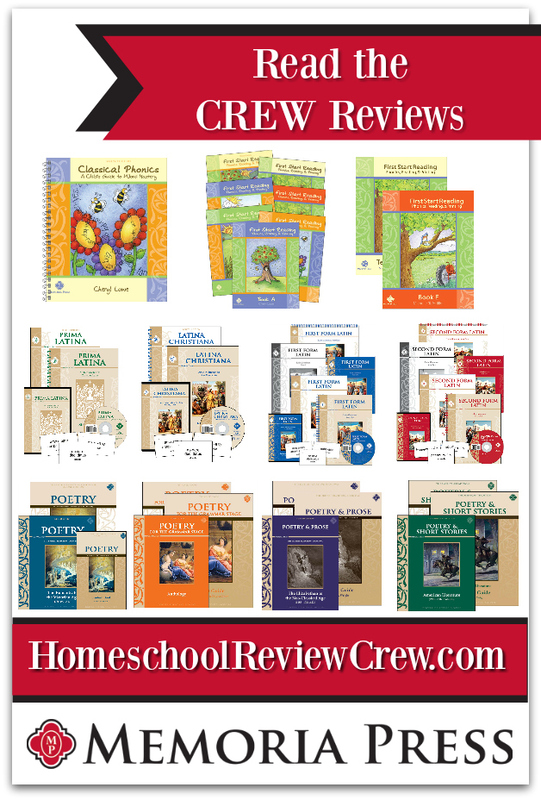 Right now the company is offering 20% off if you use the coupon code HOMESCHOOL20 at checkout, which makes this an even better deal! 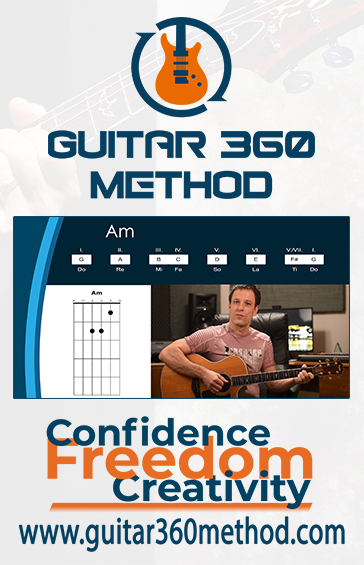 If you or your child are interested in learning to play the guitar, I would highly recommend Guitar 360. I can’t wait to see what she will be able to do once the course is finished.